Sauce With a Side of Wings | That Yum Factor! 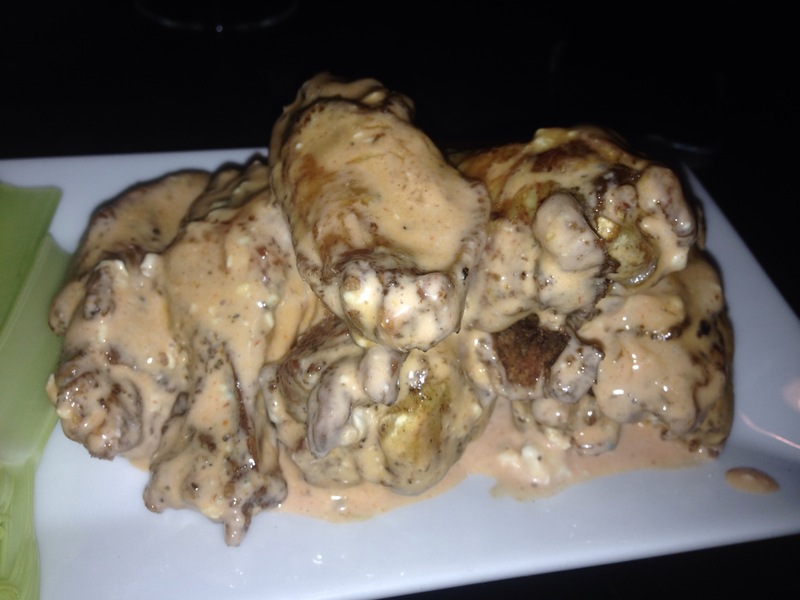 These buffalo wings are quite the hit… with my stomach. I posted another food item from this place awhile back, which was the short rib mac and cheese. These wings and that mac and cheese dish are definitely up there on top tasty things from Park and Sixth. These wings came with the restaurant’s “signature sauce.” I can’t pinpoint the exact ingredients (a Man v. Food behind-the-scenes shoot would totally help right now), but I am assuming it is a mixture of blue cheese and buffalo sauce. It might even be ranch and buffalo, but I think all you need to know is that it’s great. This adds a small, much appreciated twist to the classic buffalo wing… and I don’t hate it! Posted in Hudson County - NJ, Image format and tagged Hoboken on September 18, 2014 by thatyumfactor.